I am so excited to share with you one of my oldest tried and true recipes! 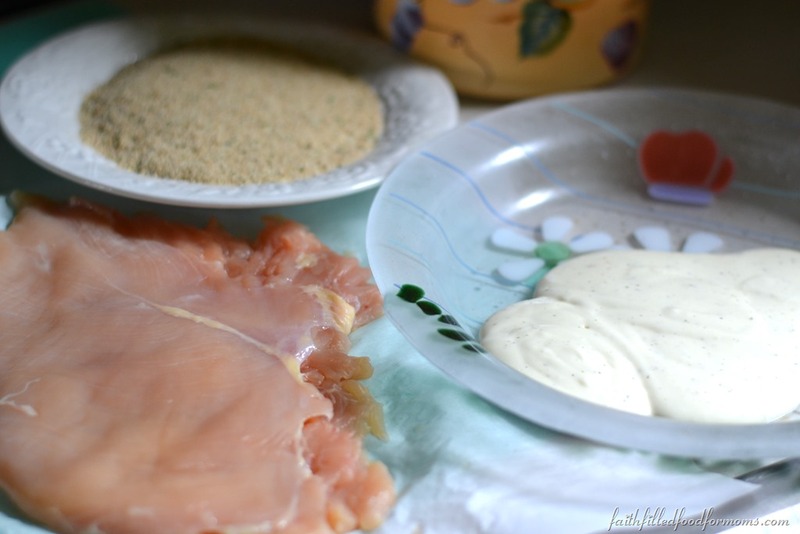 Easy Chicken Cordon Bleu Recipe Can be Frozen for later! 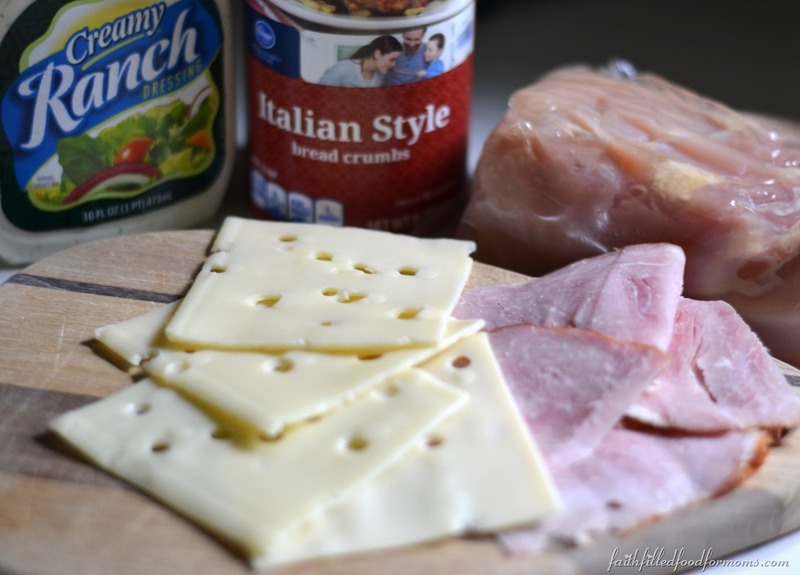 I created this many years ago and it only has 5 ingredients! It’s absolutely crazy delicious! 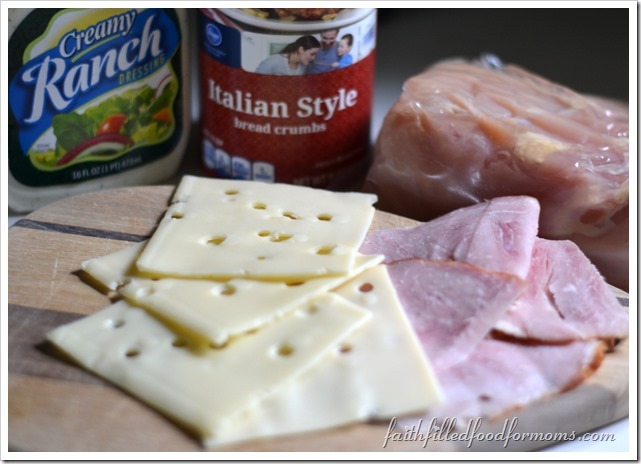 This is a favorite on my Budget Friendly Meals list because you can make ahead, then freeze and it’s still amazing! It’s a beautiful presentation and makes a perfect elegant dinner for guests! So on with the show! I mean recipe! 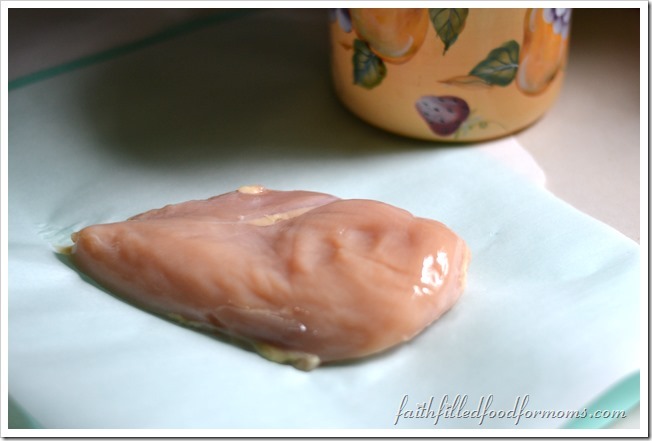 The first thing is that you need to flatten/tenderize your Chicken Breasts. Do not get intimidated by this! 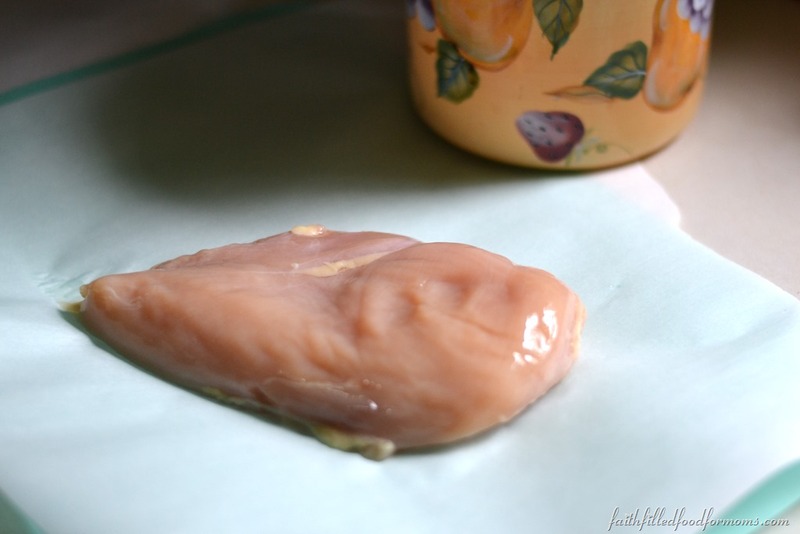 Years ago when I bought boneless skinless chicken at the deli, they would tenderize it for nothing. Now they won’t do it at all because they say they don’t want to mix the meats in the tenderizer. HOHUM! 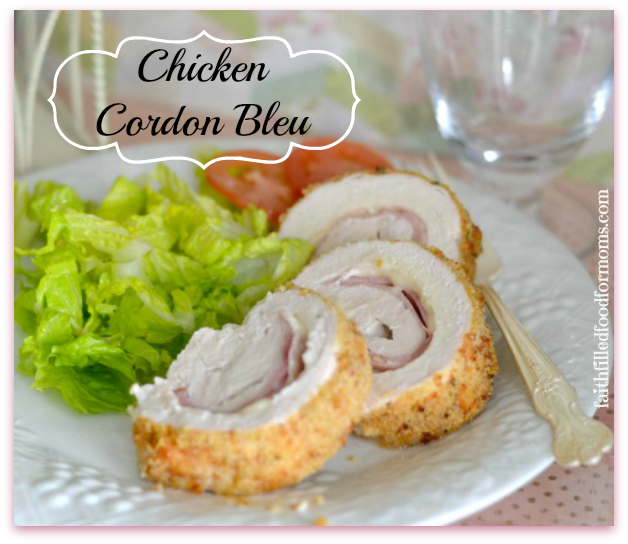 Anyway I didn’t make my yummy Chicken Cordon Bleu for years because of that. It just seemed overwhelming to me to tenderize myself. Well folks it’s super easy..and if you’re having a bad day… take it out on the chicken! Then lay another piece of paper on top of the chicken. Then begin hitting it to flatten/tenderize. 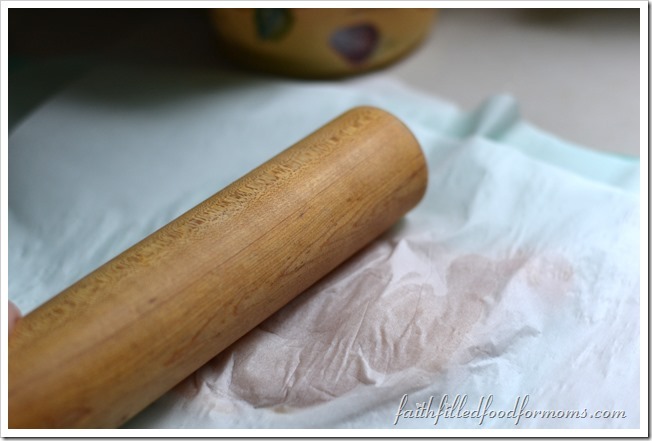 I use a rolling pin but there are actually meat tenderizers you can buy that are super easy to use. 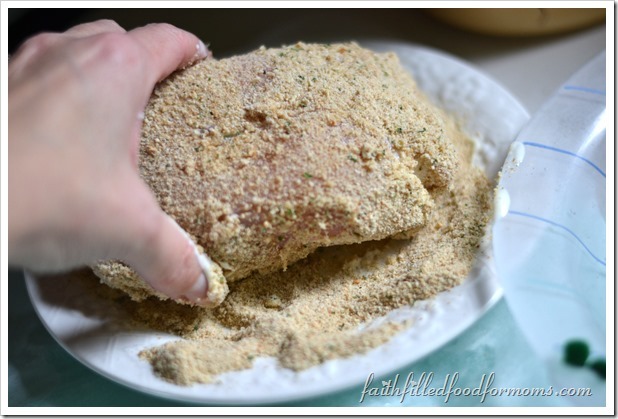 After you have tenderized to about 1/4 to 1/2 inch thick, put your Ranch dressing and Bread Crumbs into 2 separate shallow dishes. 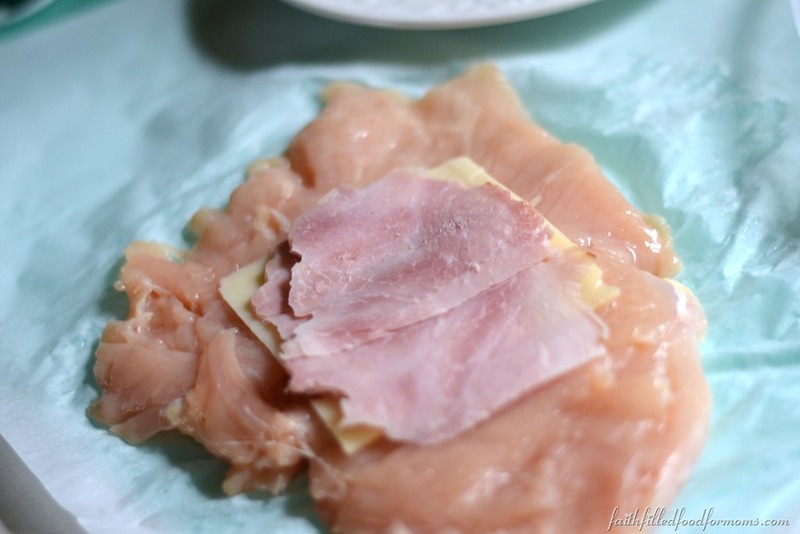 Place 1 Ham and Swiss Cheese into the middle of the chicken. Now Roll up from one end to the other. Use Toothpicks to hold in place. Tuck the ends over and also use toothpicks to hold. No perfectionism aloud here. The chicken will be beautiful..you’ll see. Just use toothpicks to hold together as best as you can. 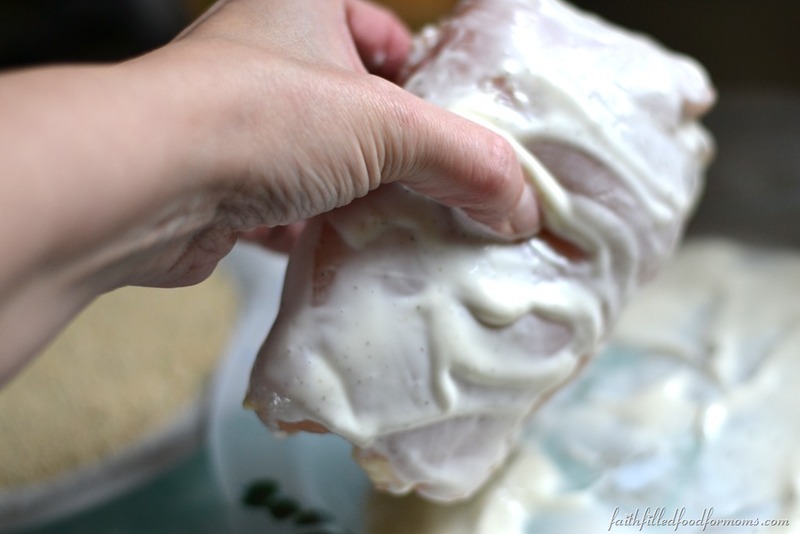 Then roll chicken in Ranch Dressing to coat. You can remove a little of the Ranch but keep it coated pretty well. 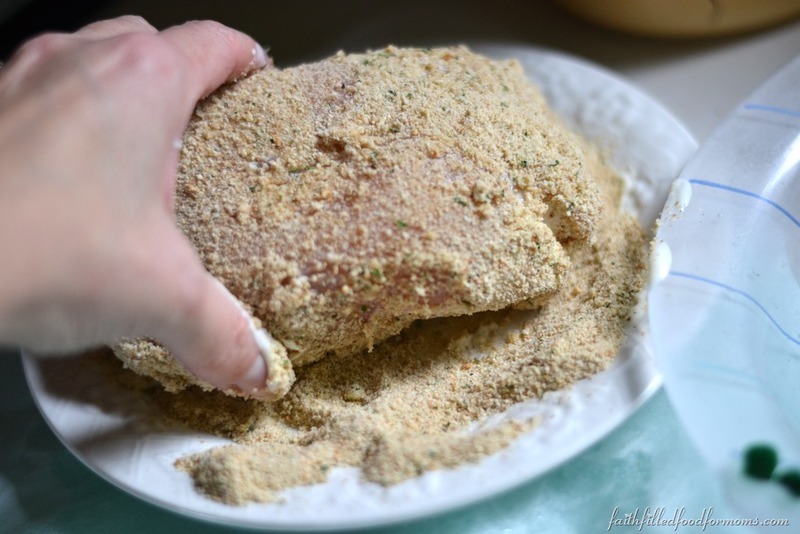 Now roll it in the breadcrumbs. Set aside on to a baking sheet. 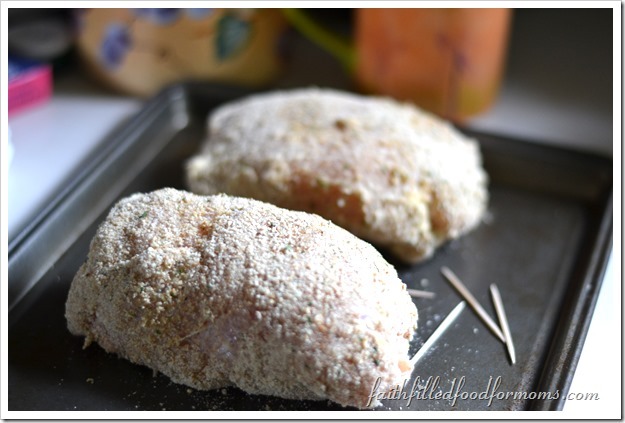 To Cook: preheat oven to 375 degree oven for 45 min – hour. Let rest for about 5 min. after you remove from oven. Then slice about 1 inch thick slices. Oh and don’t forget to take the toothpicks out..Yikes! 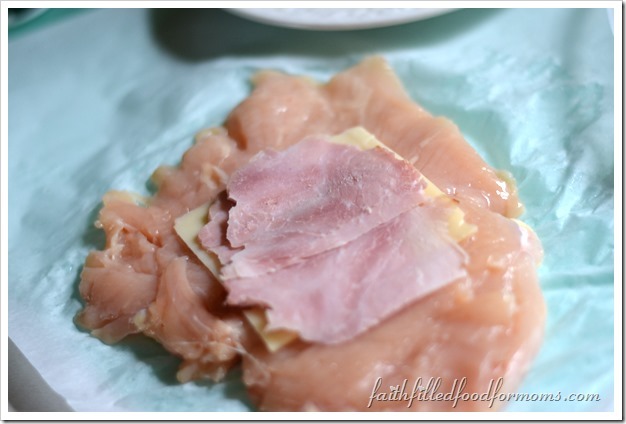 If you are wondering “Can you freeze uncooked Chicken Cordon Bleu?” YES! You totally can and below I’ll show you how! OR you can cook right now! 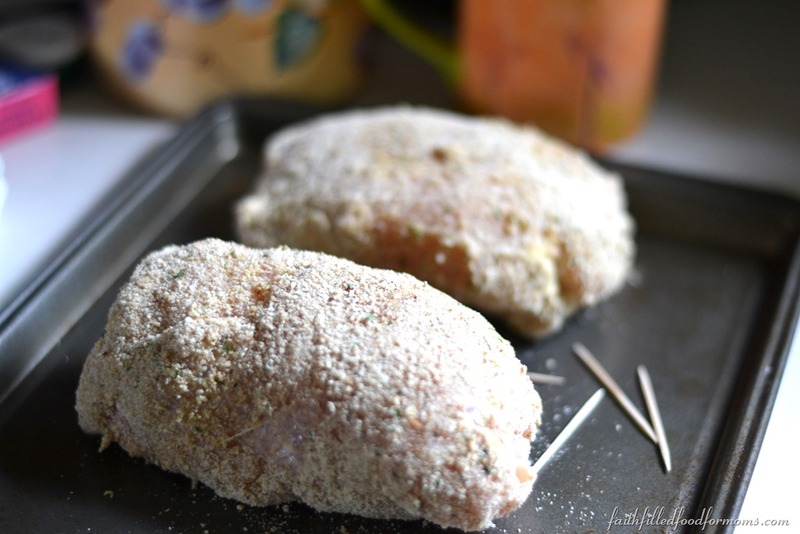 All you do to flash freeze Chicken Cordon Bleu is to put the chicken onto the baking sheet and stick into the freezer for about 2 hours. They should not be touching each other. You can cover them or not…just so long as they are not touching each other or other things in the freezer. After a couple of hours you remove them from the freezer and put them into Gallon Freezer Bags for a later time. They freeze REALLY WELL. So this is the perfect make ahead dinner if you know that you will be having company in the near future. It’s just so yummy and pretty! 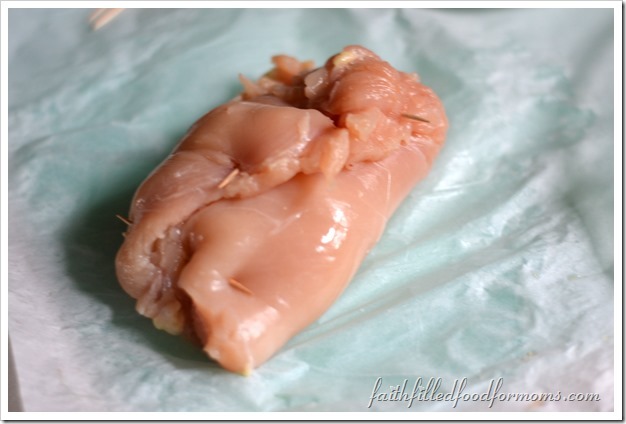 Boneless Skinless Chicken as many as you like..make more and freeze for later! Then lay another piece of paper on top of the chicken. Then begin hitting it to flatten/tenderize. 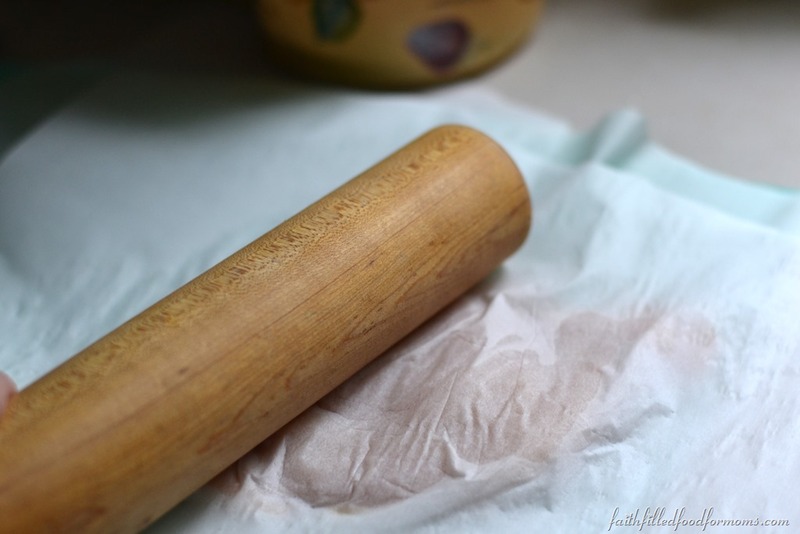 I use a rolling pin but there are actually meat tenderizers you can buy that are like a hammer. Roll up from one end to the other. Use Toothpicks to hold in place. Tuck the ends over and also use toothpicks to hold. 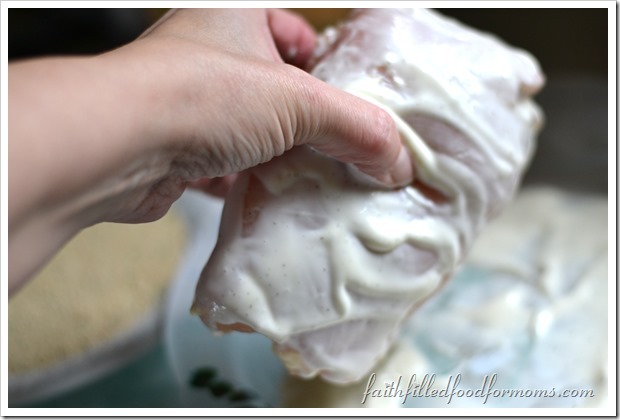 roll chicken in Ranch Dressing to coat. You can remove a little of the Ranch but keep it coated pretty well. Cook in a preheated 375 degree oven for 45 min – hour. Let rest for about 5 min. after you remove from oven. Then slice about 1 inch thick slices. Oh and don’t forget to take the toothpicks out..Yikes! Yum thank you for sharing. 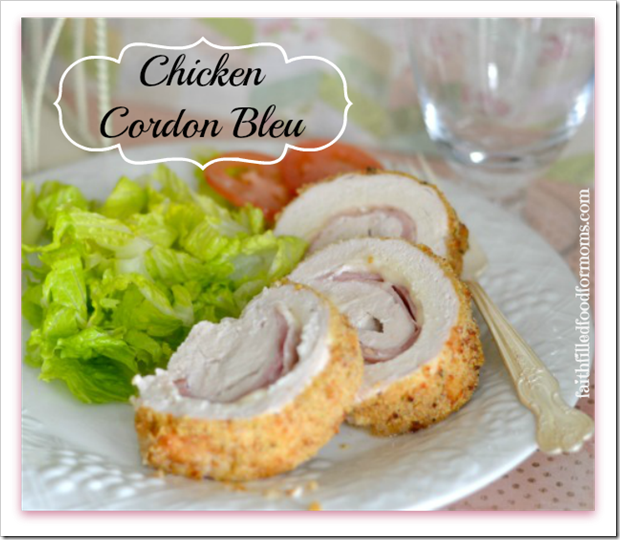 We love Chicken Cordon Bleu in our family. I can’t wait to try this out! That sounds so yummy! My daughter LOVES Ranch, so I’m sure she would love this! Pinning! I loooooove that you can freeze these! My kids like the version you can buy in the grocery store, but these are obviously way more healthy. This is going on my must-try list! This recipe looks so delicious! I’m pinning it 🙂 And I hope to try it later this month. I need to get more brave and out-of-the-box in my meal planning! This is such a pretty and easy dinner. 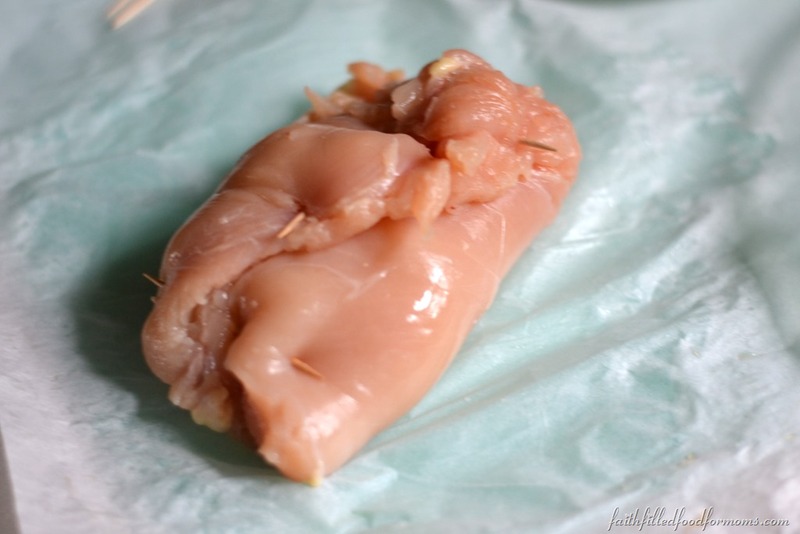 You are right — you can take out any frustrations while you tenderize the chicken, hah. Thank you so much for linking this recipe up at Recipe Sharing Monday. I hope to see you back next Monday. Have a good weekend! Thanks for linking up to Good Tips Tuesday! This looks so good and I can’t wait to try it. Off to enter your 5 ingredient chicken contest! Sweet. Thanks. This awesome recipe is screaming!!!!!! my name! Perfect. Love your beautiful tutorial too. Thanks a million for sharing at Weekend Potluck. I am pinning this for now but will be making it soon. THANK YOU Laurie!! YOU ROCK too!! 😀 I didn’t know that I could upload recipes to the add project page! Yay!!!! I’ll do it! Thanks so much for taking the time to stop by and tell me! <3 By the way LOVE your Mom Blog Money Blog!!! Yep I broke down and got it and it's worth a million. Just changed my theme today so it's not too set up..but it will be by the end of the week! Have a blessed week!! I love simple chicken recipes. 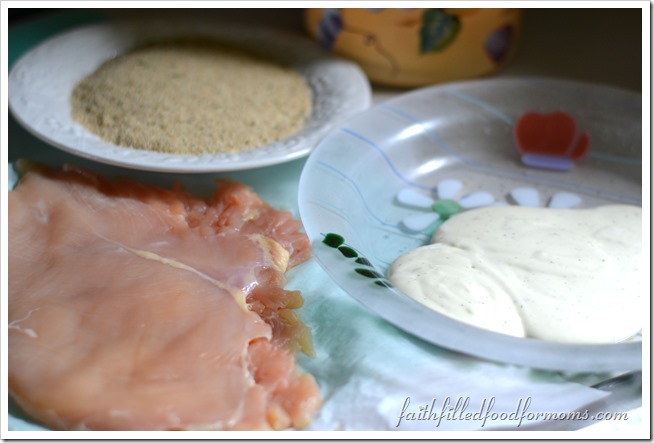 I would have never thought to use the ranch as a coating under the breadcrumbs, so smart 🙂 Thanks for sharing with the Mixer last week. Hope to see you again on Thursday. Your chicken looks delicious! I like that you can make it ahead as well! Stopping by from Family Fun Friday to let you know that your yummy chicken will be one of my features this week! I might have to try this tonight!!! I haven’t had CCB in forever! Thanks for the reminder! I think I’ll give this a whirl next week! I too would like to know if we bake frozen? Also, at what temperature? I’m thinking some minced up broccoli sounds great in this too. Thank you for taking the time to please all of us with your wonderful site and knowledge.